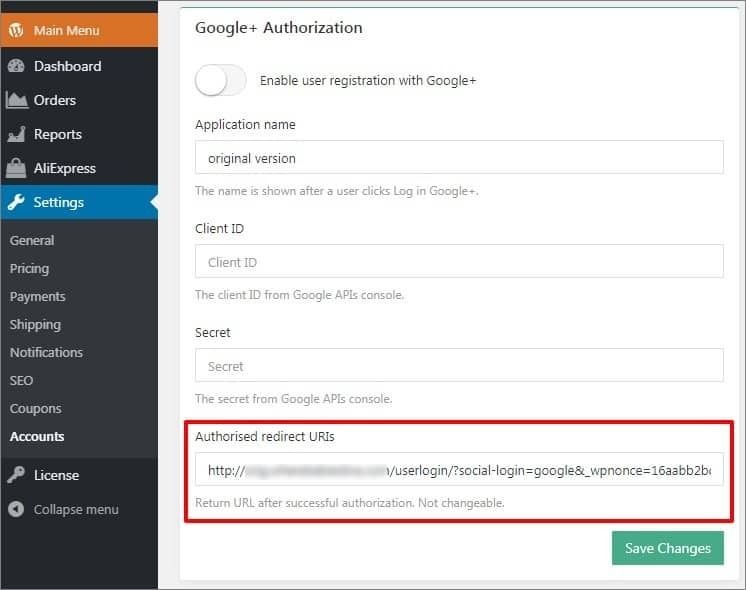 With Google Sign-In, you can enable your customers to log into your website by signing in with their Google account. This secure, fast and simple experience leads to higher conversion. 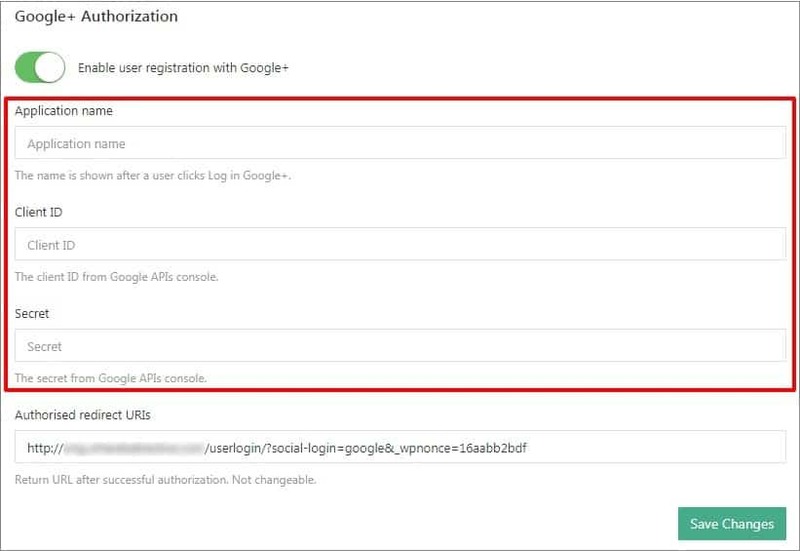 To get started, visit Google API Library and select Social APIs => Google+ API. Add your Project name and hit Create. 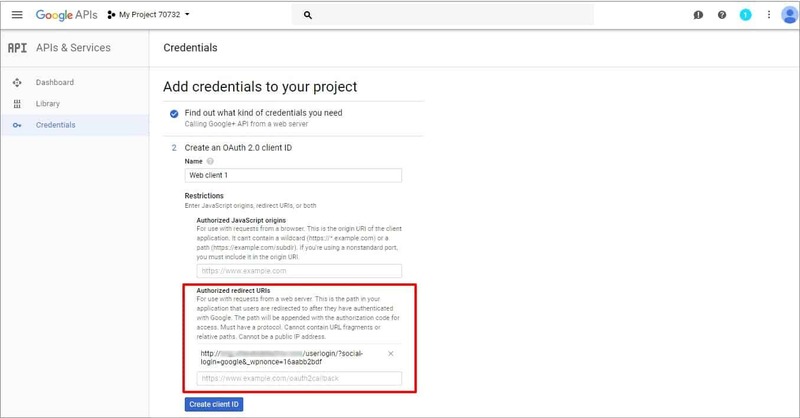 Then you need to create credentials. 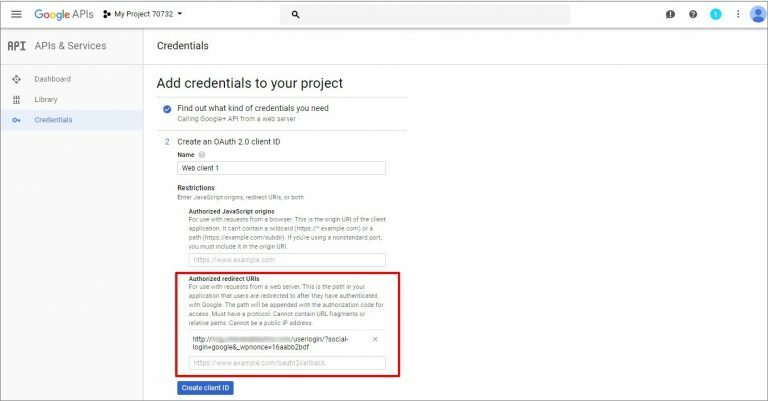 Add credentials to your project. Once all the fields are filled, click the What credentials do I need? button to continue. Enter your Authorised redirect URLs that can be found in your WP admin area. Go to AliDropship => Settings => Accounts => Google+ authorization settings and copy Authorised redirect URIs link. Paste it in your Google settings (see the screenshot above). Set up the consent screen by providing your email address and adding product name which will be shown to users. Click Continue. Download your credentials (Client ID). Click Done. To check your credentials, click on your Name. You may use the Edit button to make changes. Copy your Client ID, Client Secret and Name. Add your credentials in AliDropship => Settings => Accounts => Google+ authorization settings. Save changes. Please deactivate ModSecurity on your server if you are having troubles with authorization via Google.